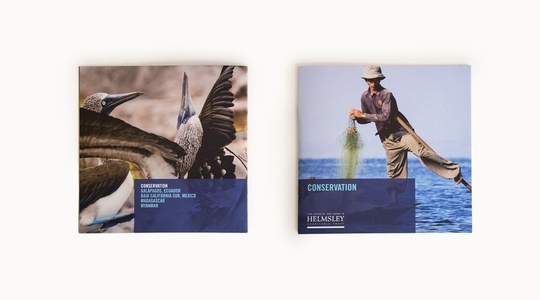 The first in a series of program-specific publications, the Conservation brochure highlights the Trust’s Conservation Program, working to resolve environmental threats in ways that ensure the well-being of local communities while sustaining natural resources and protecting biodiversity. 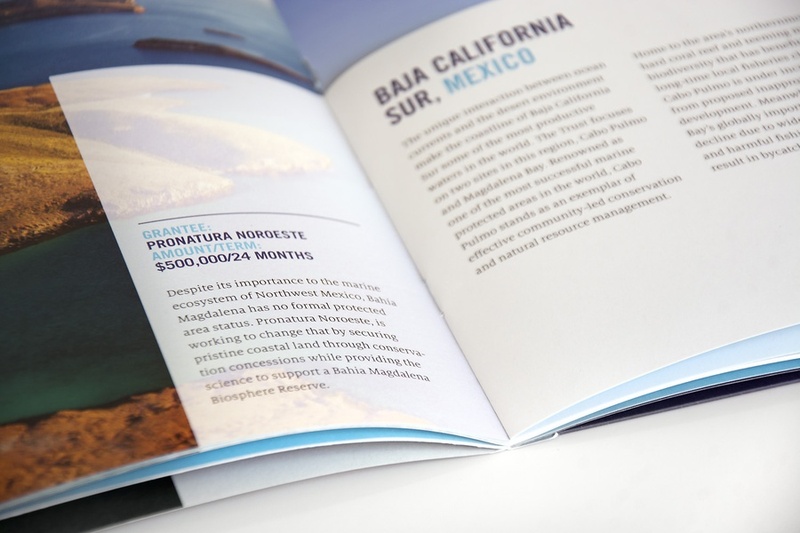 This is achieved by collaborating with outstanding global and local organizations that share their mission. 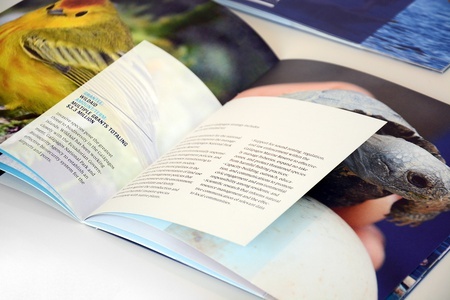 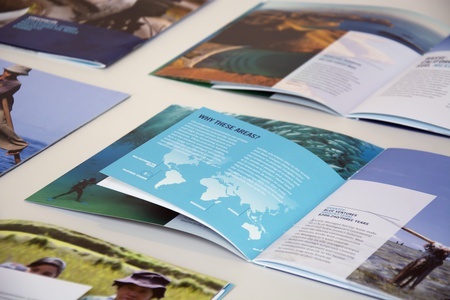 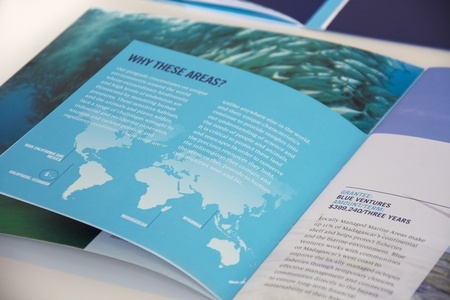 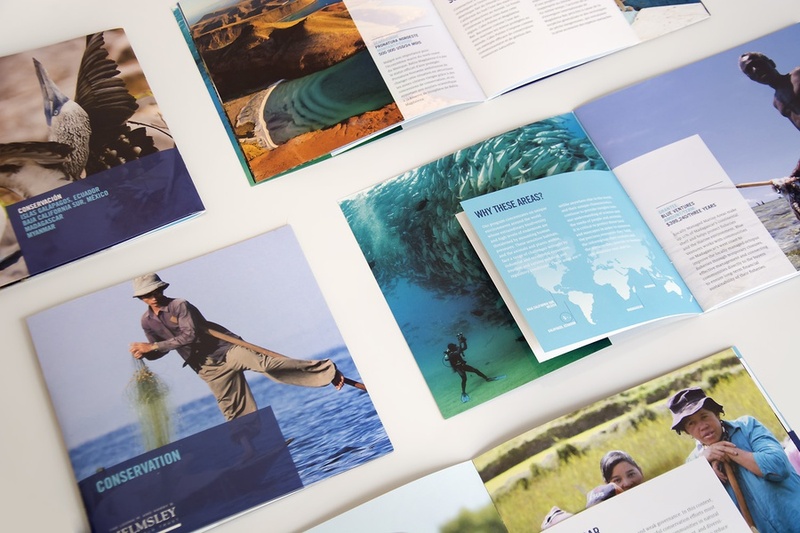 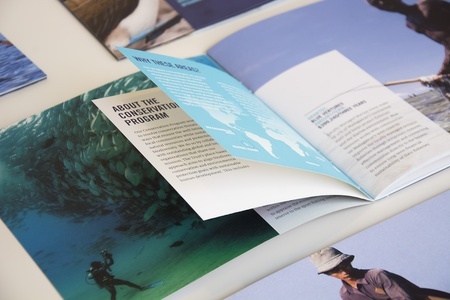 Constructed of various-size pages, the brochure presents the content in a layered fashion with arresting imagery and smaller, concise panels telling the stories behind the program. 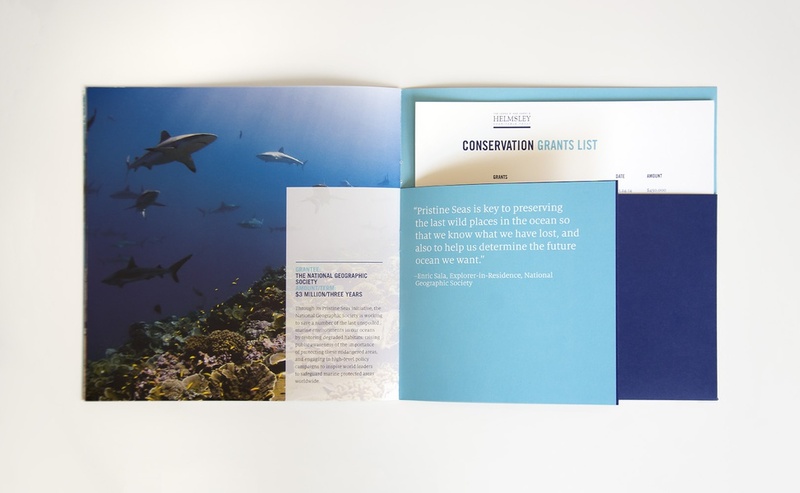 Pocket inserts provide up-to-date program-specific grants. 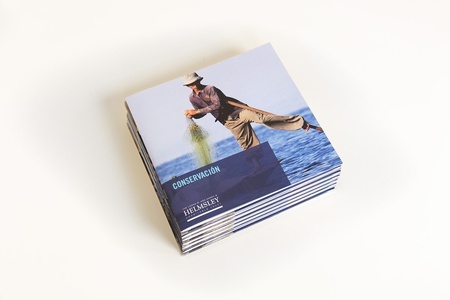 The Conservation brochure was published in English, French and Spanish.